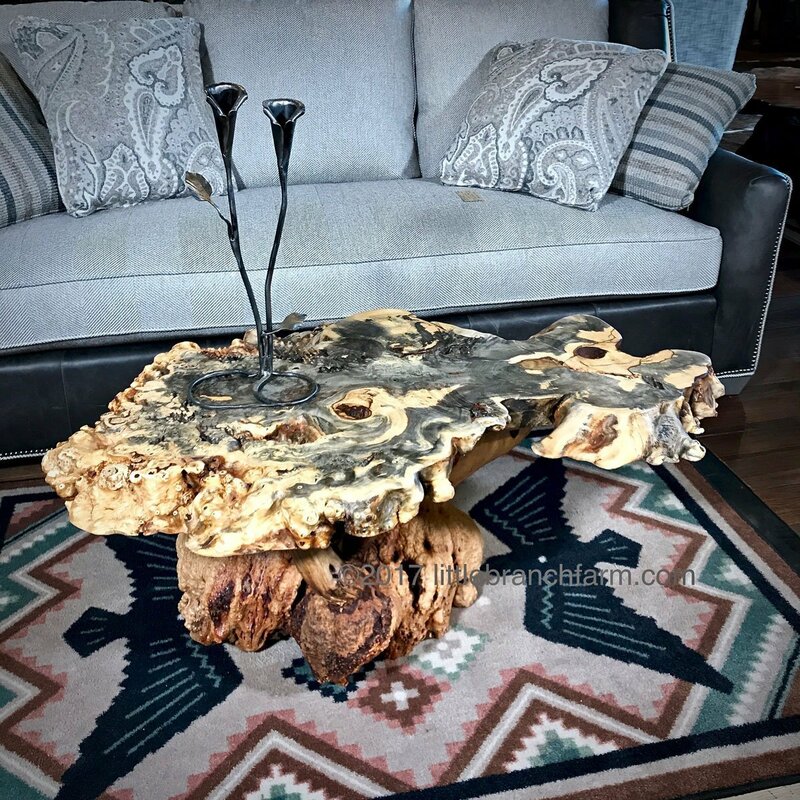 Natural burl wood coffee table is 40″ by 30″ and 18″ tall. This table has custom crating and standard shipping included within the continental USA. This table is sold. 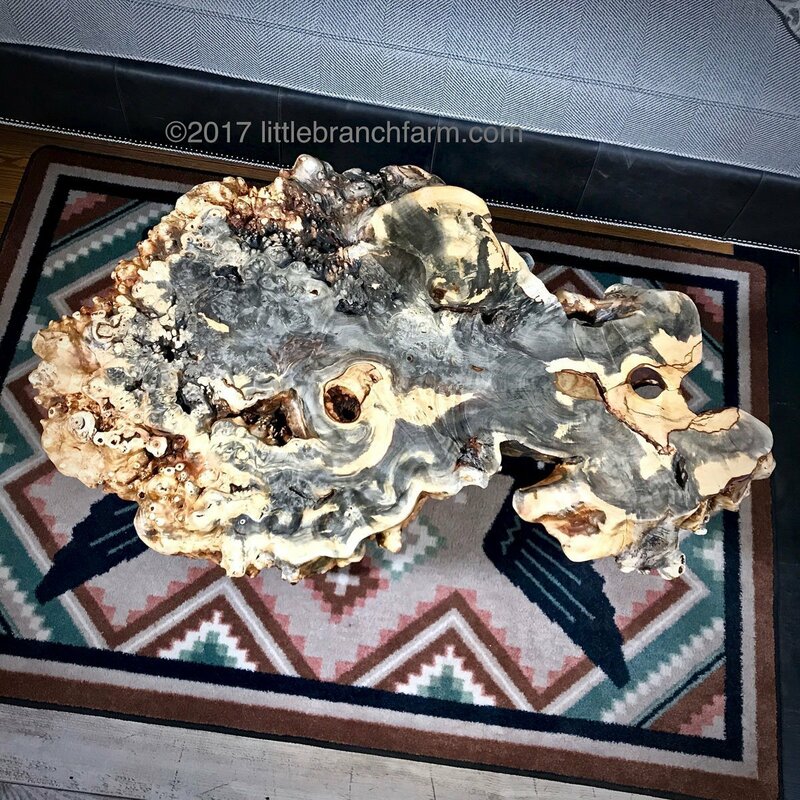 Please contact to order a buckeye burl coffee table. Each table is a one of a kind. This burl wood coffee table features a manzanita base supporting a Buckeye burl wood slab. 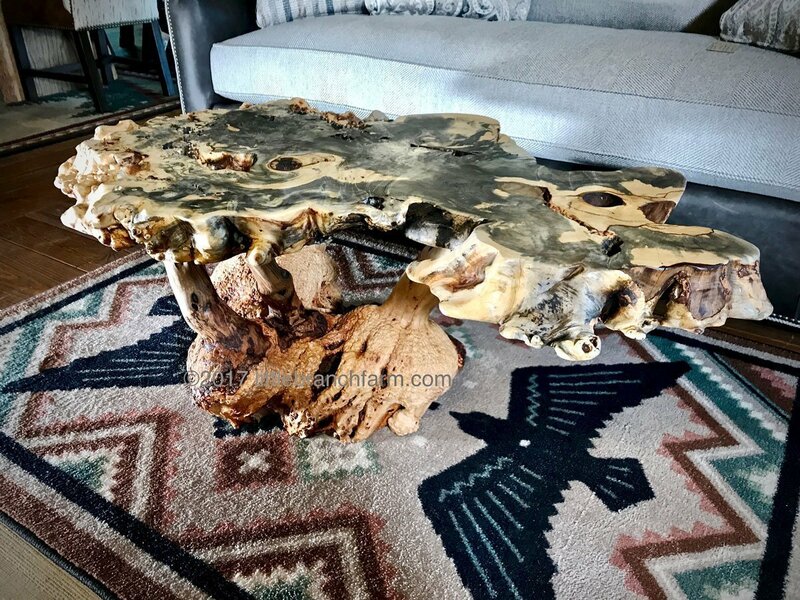 The natural movement and color tones in this burl wood slab are stunning. The manzanita base also is stunning in its own regard. 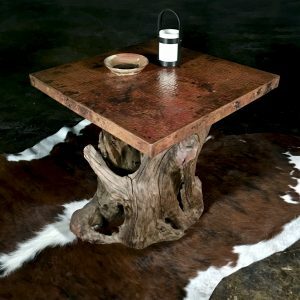 This style natural wood coffee table is available in many sizes shapes and bases option. 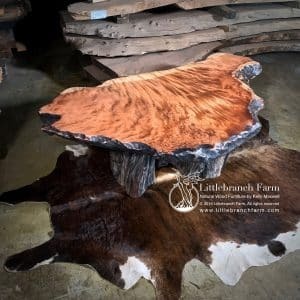 Each wood coffee table is a one of a kind. 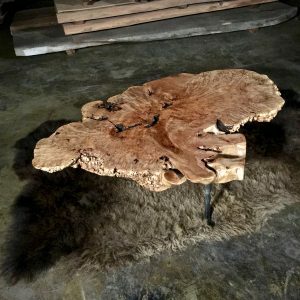 Along with this burl wood furniture design, we also design and craft custom rustic furniture using live edge wood. We also use driftwood, root, stumps and juniper logs. 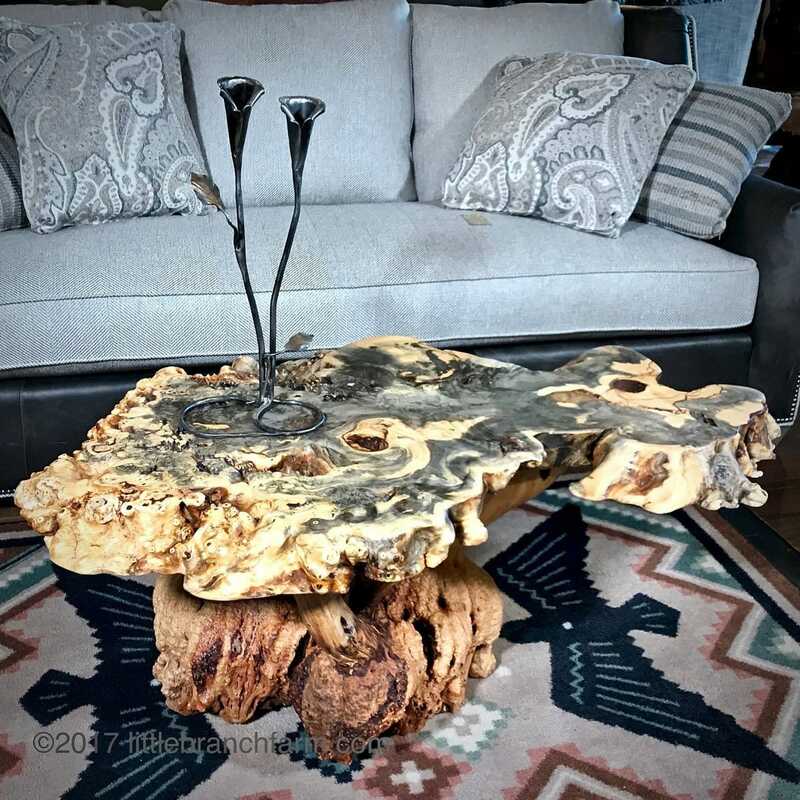 This wood coffee table is organic with an elegant natural wood look.